These self-studies were designed to meet the requirements for the specified number of hours of continuing education. These courses were designed to meet the requirements of the California State Board of Accountancy; the California Bar Association; and the California Tax Education Council. This does not constitute an endorsement by these groups. The state boards of accountancy have final authority on the acceptance of individual courses for CPE credit. For more information regarding administrative policies such as complaints or refunds, contact Spidell Publishing at 714-776-7850. Spidell Publishing, Inc. has been approved by the California Tax Education Council to offer continuing education courses that count as credit towards the annual “continuing education” requirement imposed by the State of California for CTEC Registered Tax Preparers. 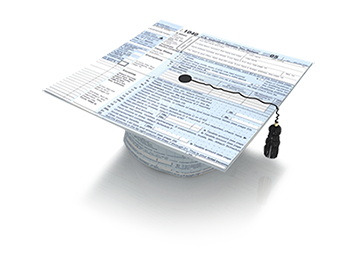 A listing of additional requirements to renew tax preparer registration may be obtained by contacting CTEC at P.O. Box 2890, Sacramento, CA 95812-2890, or by phone at 877-850-2832, or on the internet at www.CTEC.org. Spidell Publishing, Inc. is registered with the National Association of State Boards of Accountancy (NASBA) as a sponsor of continuing professional education on the National Registry of CPE Sponsors. State Boards of Accountancy have the final authority on the acceptance of individual course for CPE credit. Complaints regarding registered sponsors may be submitted to the National Registry of CPE Sponsors through its website: www.nasbaregistry.org. Each self-study is designed to meet the requirements for 1 hour of continuing education for the California Board of Accountancy. Basic Level. Field of Study: Taxes. Delivery method: Self-study. For more information regarding administrative policies, such as complaints or refunds, contact Spidell Publishing at (714) 776-7850. There are no prerequisites or advanced preparation required.Spidell Publishing, Inc. is registered with the National Association of State Boards of Accountancy (NASBA) as a sponsor of continuing professional education on the National Registry of CPE Sponsors. State Boards of Accountancy have the final authority on the acceptance of individual course for CPE credit. Complaints regarding registered sponsors may be submitted to the National Registry of CPE Sponsors through its website: www.nasbaregistry.org. Each self-study is designed to meet the requirements for 1 hour of continuing education for the California Board of Accountancy. Basic Level. Field of Study: Taxes. Delivery method: Self-study. For more information regarding administrative policies, such as complaints or refunds, contact Spidell Publishing at (714) 776-7850. There are no prerequisites or advanced preparation required.